On 17 November, weights at weaning age were recorded for the 2018 calf crop. 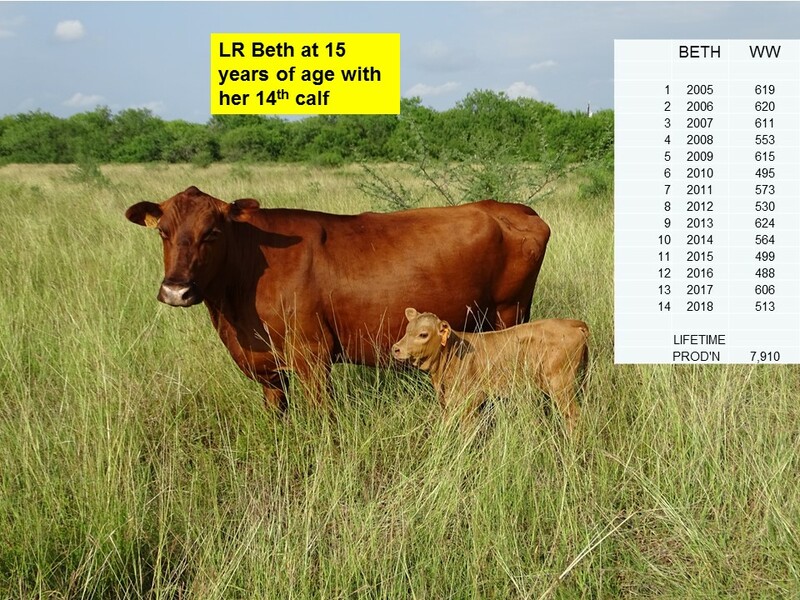 The oldest Star cow is LR Beth who was born in 2003. She is half Red Angus and half Senepol. (In 2005 the first three-breed composites would be born.) Being fully crossbred, Beth has displayed considerable heterosis for reproductive- and disease resistance-traits over her entire lifetime. Below is a photo of LR Beth. She has weaned a good calf every year for 14 years without any pampering (in most years the total cost per cow averages about $300), and has produced nearly 4 tons of beef in weaned calves. In addition, the heaviest calf that was Mashona-sired had a 205-day adjusted weaning weight of 658.5 lbs (photo below taken 2-1/2 months ago). 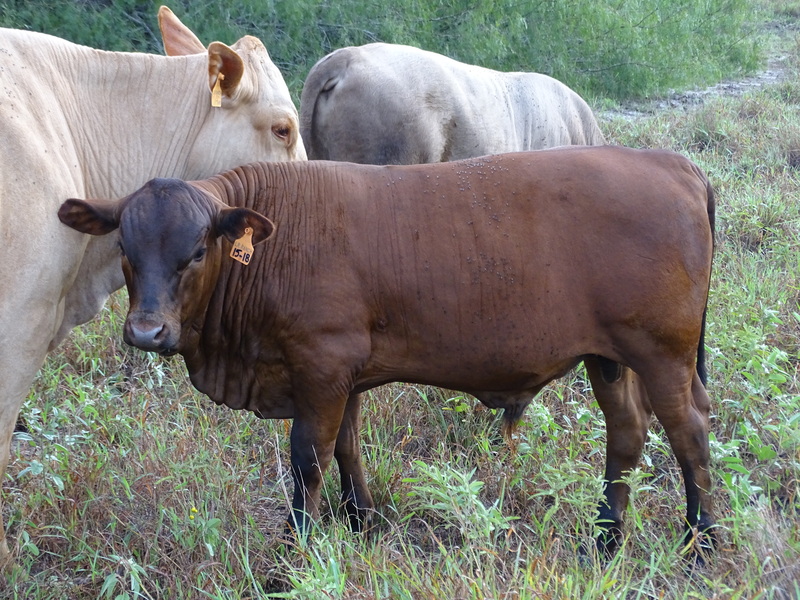 His dam (LR Chiffon) is 11 years old and is one-half Tuli, one-quarter Red Angus, and one-quarter Senepol. The selection of bull calves as replacements will take the genetics of the herd to another level in terms of genetic adaptability in hot climates and without pampering that translates into cow longevity. This entry was posted in Uncategorized by Lukefahr Cattle Ranch. Bookmark the permalink.